Congrats to Virgil Aboh who is now the new Men’s Wear Designer at one of the most iconic powerful fashion houses in Paris the mighty Louis Vuitton. I have been intrigued and watched him interestingly over the last few years. Me coming from a music background and knowing everything about Kanye, I first heard of him as one of the people that Kanye would always shout out and worked alongside with on his fashion endeavours as a creative director. 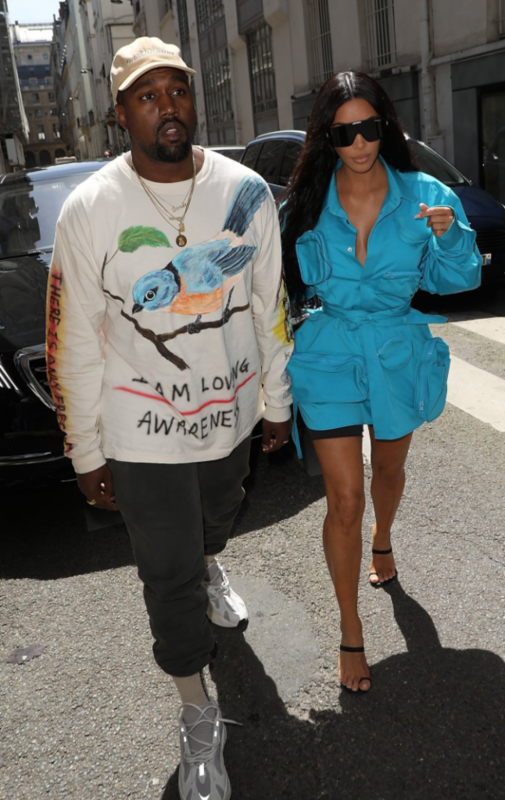 Over the years as Kanye’s fashion credentials and confidence grew his best mate Virgil was becoming one of the hottest names in streetwear by designing his own label ‘Off-White’ which celebrated street wear/music culture. Virgil was always connected with youth culture through his Djing and genuine passion for the scene. He was that guy out and about, living the life and seeing what was influencing not only his own friends but the hottest millennials obsessed with luxury, couture blending it with high-street. As a person he is a bit of a mystery which I find super endearing and a breath of fresh air in this ‘ self obsessed’ world we live in now. He clearly has had a vision and strategy to get to this point but has managed to do it with style and finesse. I find it exciting that he has now relocated to Paris and joins the likes of Olivier Rousteing at Balmain as one of the few black designers in an industry that is mostly controlled by the upper class white population. Times are changing and it’s a beautiful thing. 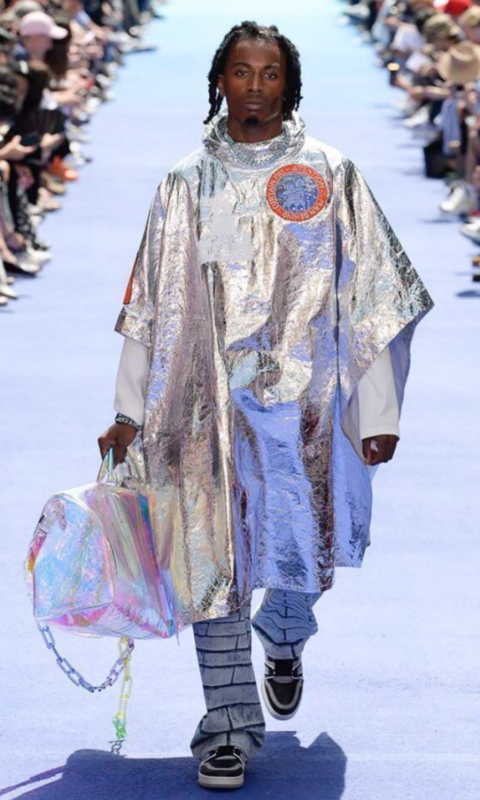 Today he finally unleashed his first Men’s Spring/Summer 2019 collection with Louis Vuitton. Packed with strong block colour head to toe outfits. Bright white, black, vibrant red to an awesome fluorescent. Virgil let Paris know he had arrived! Front row sat his bestie Kanye with Kim and younger sister Kylie and Travi$ Scott. 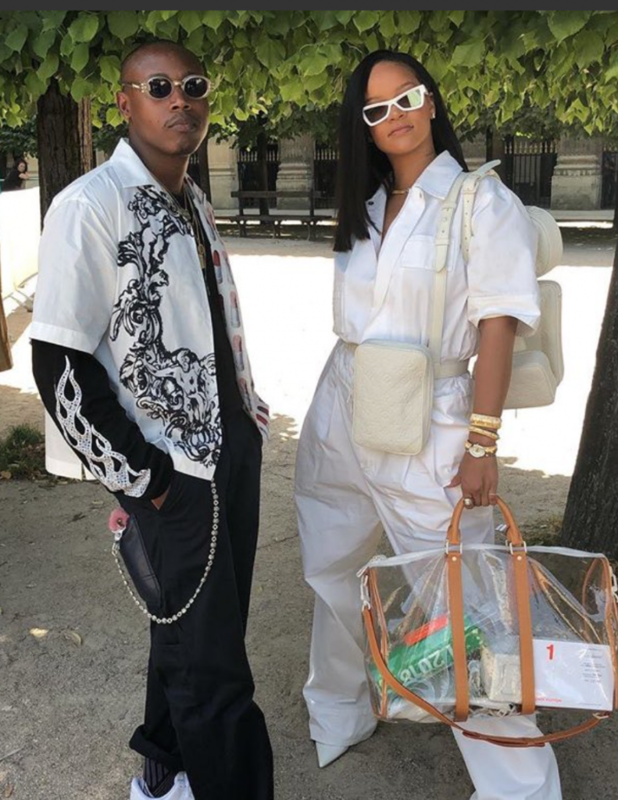 Rihanna, Bella Hadid, A$AP Rocky, J Balvin and Naomi Campbell also were there to show support while rocking his latest collection. 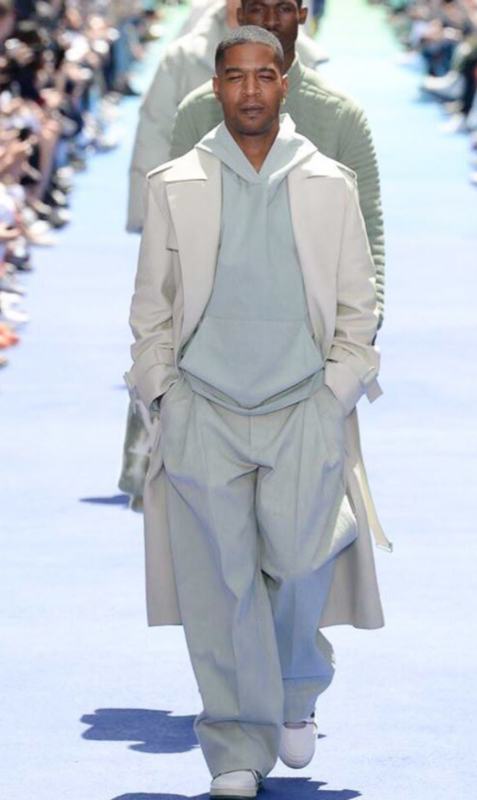 I love that the ladies customised the menswear pieces and totally rinsed that whole tomboy chic! Also love that Virgil invited 2,000 design students to the show who were obviously blown away. Rappers Playboi Carti, Kid Cudi and Octavian Essie joined the models on the runway. Right at the end of the show as Virgil did his winning walk he stopped and embraced Kanye. What a moment, both men tearful and having a genuine beautiful moment. 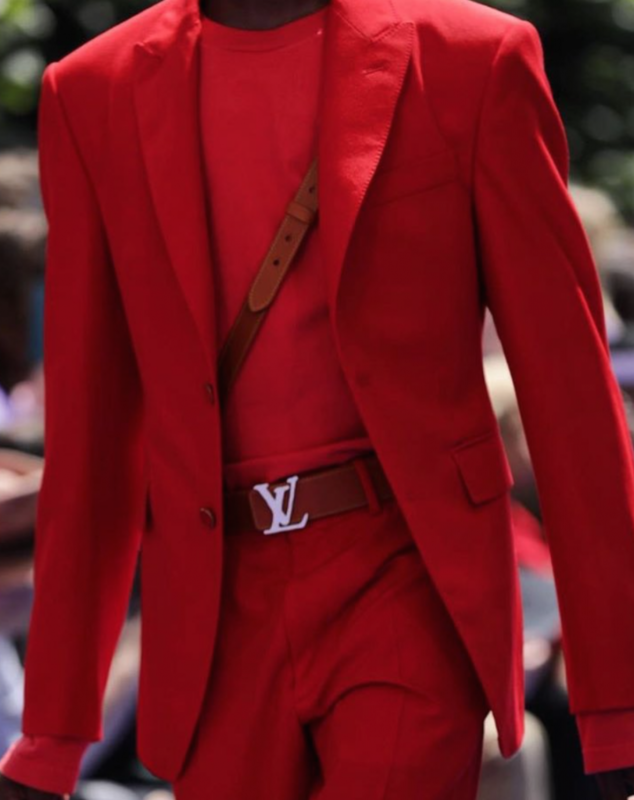 More reasons why Virgil will change the game at Louis Vuitton and seriously put menswear on the map. 2 Virgil has direct connection with the culture and millennials. He is a part of the new movement and influences everyone from musicians to the average teen street obsessed person with luxury whether its trainers or the must have hoodie. 3 Virgil’s knowledge and passion will take Louis Vuitton’s menswear to a whole new audience. He has proven a real understanding with the core audience with his own brand growing and collabs alongside giants like Nike, Monclear , Jimmy Choo and most recently Ikea. 3 Louis Vuitton currently has 450 stores but only sells menswear in 150 of those. This will 100% change and by the end of 2018 expect that number to double. Virgil knows how lucrative the male market is and how much leaders in the field like Supreme and Raf Simons are generating. Expect LV in that top 3. 4 His background isn’t like any other designer from a fashion house, he has no formal training but I think that’s what Vuitton need! Time to disrupt the industry in a much needed way. Virgil’s approach will be like that kid in a sweet shop being given access to a load of sweets he has fantasised about for years. His desire to create and contribute will be greater then to just scream and shout and be noticed. He will try a few different flavours and work out what suits his palette and appetite longterm. 5 Virgil’s ambition and desire to grow and learn will be where his strength will lye. Here is a guy that moved to Paris with his best-friend over 10-years ago to intern at Fendi and get paid peanuts. Why? Because he, they loved Fashion but their desire to learn was greater then their egos and perceptions. I find that part of Virgil’s make-up super interesting and excited by what he will become and create. 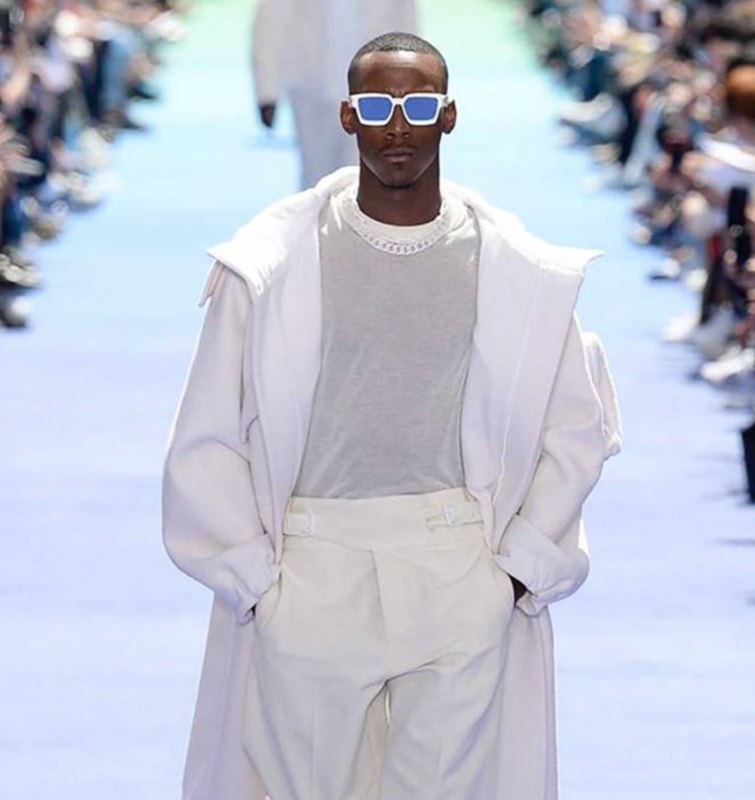 It’s a new era for Louis Vuitton Menswear, congrats to Virgil and wishing him all the best in this powerful new position.